At first glance, Super Mario 3D World may just appear to be your typical bread and butter 3D Mario game. However, it's much more than that and it's predecessor Super Mario 3D Land. The charm, tight controls and beautiful visuals all complement each other to make this not only one of the best Mario games, but one of the best platformers of all time. The controls are as you would expect from any Mario game, very top-notch. I very much appreciated the addition of different character abilties, it sides with the controls very nice and finding a new way to control and play with a new character can make a single level feel entirely different. One gripe with the controls is that sometimes multiple buttons will be given dual functions. I find this quite aggrivating when controling certains characters and especially fustrating considering the amount of buttons that are not in use. Overall it isn't a huge issue and you get used to it after a few levels. The graphics of 3D World show cases some of the true power of Wii U. Simply put, it's a very polished and shiny game! The aesthetics are great and the effects of having water dripping down the screen is beautiful and realistic. The attention to detail in the art is evident in how a wet level actually looks as if it's soaked! When it comes to music, Super Mario 3D World has one of the peppiest and greatest musical tracks ever made for a video game. It's tunes offer a great variety of pleasure for the ears, I just wish there was more of it! Super Mario 3D World evokes creativity in every sense. It's blossoming with cool ideas and a visit to another Kingdom other than the Mushroom Kingdom was a welcome addition. While, the circus themed levels were awesome. I did feel as if I was still in the Mushroom Kingdom in regards to the sand and grass levels. I wish they would have taken another step furthur into the unknown. The new cat suit power-up really allowed for the team at EAD Tokyo to crazy with some of the level designs! It allowed for more exploration in what intially appeared to be fairly simple and compact levels. The double cherry power up was one of my personal favorite items, although it was only in a few levels. The double cherry made for some tricky platforming and puzzles. Finally, the levels with Plessie the orange serpent were tons of fun and a nice break in between all the platforming. I always looked forward to playing in a level with Plessie. Although it's quite clear that I adored Super Mario 3D World, there was a few things I felt that could have been done better. For instance, the overworld was like any from the past 2D Mario games. I was hoping for a fully 3D one similar to Super Mario 64's overworld. My second complaint is the depth perception. I often found myself misjudging a jump because of the limited camera angles. This is all I really could dig up on what I felt the game lacked or had disappointed me in. But overall, these are definately not reasons why you shouldn't buy this game! To say the least, there is a good amount of content here. To say the most, there is an excessive and overflowing amount! Super Mario 3D World leads you on a lot. "You think you're done with the game? Nope! Another world.. Finished with that one.. Here's the final world! Wait there's still more!." The amount of time you get out of this game is astonishing. The main course of the game takes you on for about 15-20 hours with finding all the stars and stamps. I'm currently on the last legs of the games finding all the stamps and stars with 25 hours clocked in. I'd say I've got about 3-5 hours left before I'm completely done! You see, unlike some reviewers trying to make this sound like a short game. It's not! As someone who has not been under a crunch to finish the game, I got a thorough playthrough which allowed for me to enjoy the game a lot more. 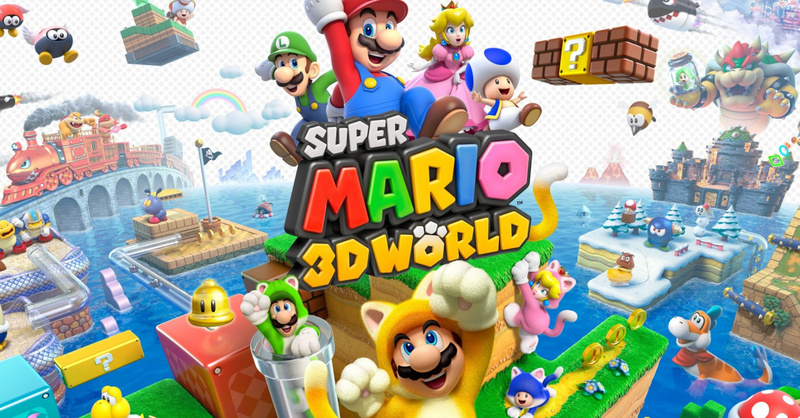 At the end of the day, Super Mario 3D World is not "just another Mario game." It's a great game with solid platforming. It's charm, visuals and creativity ultimately push the game to be one of the best platformers made. If you have a Wii U and don't have the game, get it! If you've not got a Wii U and are the on fence, this game is a single reason to own a Wii U! Great review. I almost passed on the game (at least for a while) but the reviews were too good. This is a great game- justifies my purchase of the Wii U, IMO. Edited by Rockodoodle, 24 January 2014 - 01:23 PM. This is the best Mario game. If you enjoyed the toad levels in this game.... have you checked out Captain Toad?